Calling all veggie growers!!! If you have an awesome veggie garden, your produce is outstanding and everyone loves the food that comes out of your garden, it may be time to put your growing skills to the real test. 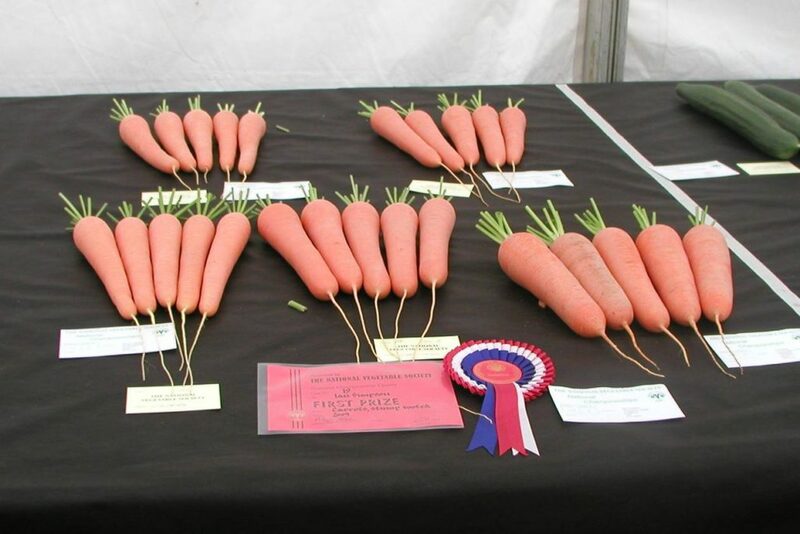 The big question is, how well does your produce rank against other veggie growers? Everyone tells you that your tomatoes are the best, or that they have never eaten cucumbers as delicious as yours. This is your chance to find out how green your fingers really are. Come and exhibit your prize veggies at our Inaugural Vegetable Exhibition. This will give you a good idea of how well your garden’s produce ranks, and will also allow you to compare your best produce against the best produce of other growers in the region. 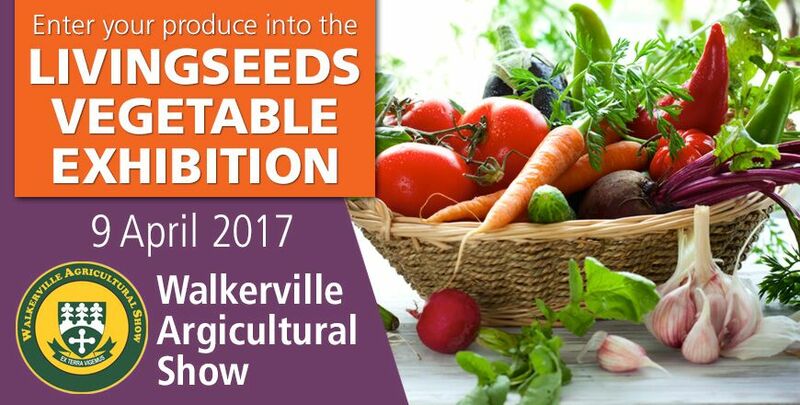 Come and show off your produce at the 2017 Livingseeds Vegetable Exhibition. For a number of years now, it has been on my heart to host a real Vegetable Exhibition. The idea is to provide a platform for all veggie gardeners and farmers to bring their produce and show it off for others to see. At the same time they can rank their produce against other growers. Every veggie grower believes that their produce is the best, and this is the true test. We have such great customers and they often send us pic’s of their produce and gardens. We are excited to have an opportunity to meet you guys in person, see and touch your produce and just have a great day chatting about veggies. This is the inaugural Livingseeds Vegetable Exhibition, and looking at the responses so far, the competition is bound to be tough and exciting. The whole idea is for you to have a great day, with some friendly competition and hopefully at the end of the day, you get to leave with bragging rights for the next year. Networking and chatting with other growers is also the best way to learn new and interesting techniques that can give you the edge for the following year. Who knows, you may even make some interesting new friends and meet some great gardening neighbours. The Vegetable Exhibition is based on international show standards, and our intention is to develop this into a world class event over the next few years. As it’s our first year, we have relaxed a few of the conditions and requirements. This year it is very simple. Let us know that you are keen to bring some produce, and then arrive within the specified time on the 9th of April to stage your veggies. Please note that we have put together a show schedule and judging rules that need to be adhered to, so please make sure you download them and read them. This year, there will be no charge to enter and exhibit, you will however have to pay the standard show entry of R40 per car. The cool thing is that you can enter as many vegetable classes as you wish at no cost. So if you have a wildly productive garden, then bring your produce, and show it off. There are categories for almost every vegetable that you can imagine, and even a few fun categories…. just for the fun of it. The Exhibition will be held on Sunday the 9th of April at the Walkerville Agricultural Show. The Show organizers have given us the use of the annex to allow us to put this exhibition on. We will have ribbons, certificates and great prizes for the top winners in each class. As well and an overall Exhibition winner for the exhibitor that accumulates the highest score on the day. We are looking forward to an exciting day filled with amazing vegetables and awesome grower’s tales! Come along, with or without an exhibit. We’d love to meet you and hear all your Veggie tales! ← Livingseeds, is the best heirloom seed company.